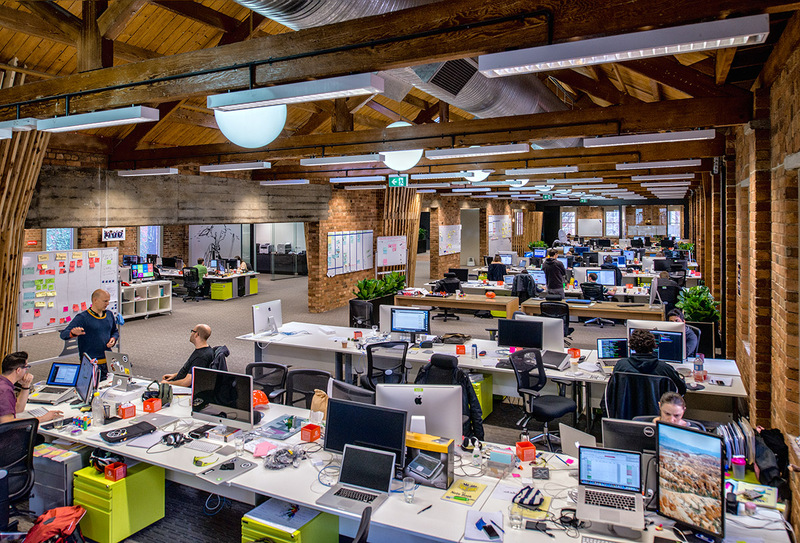 This is the top floor where our Envato Marketplaces and Microlancer teams do their magic. It’s home to tall vaulted ceilings with skylights peppered throughout, original brickwork and beautiful copper pipes that sound like bubbling brooks on a rainy day. It was important to us that we made the building our own home. 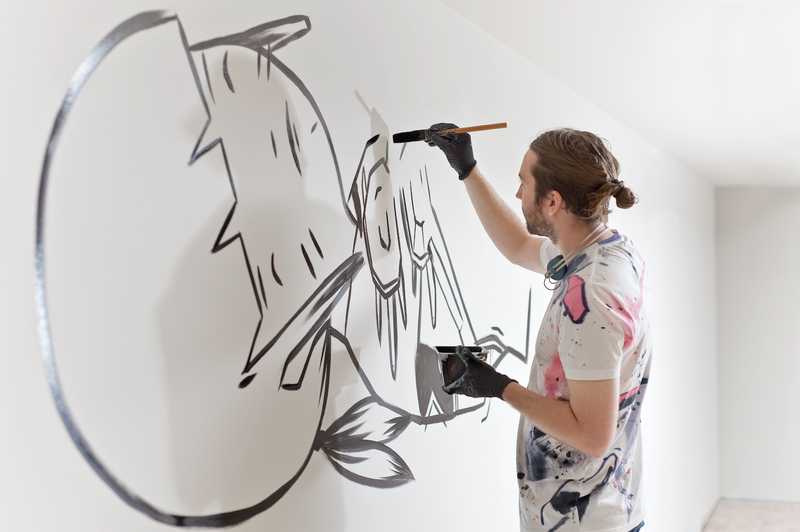 So we asked local street artist GhostPatrol to give the place a little character. 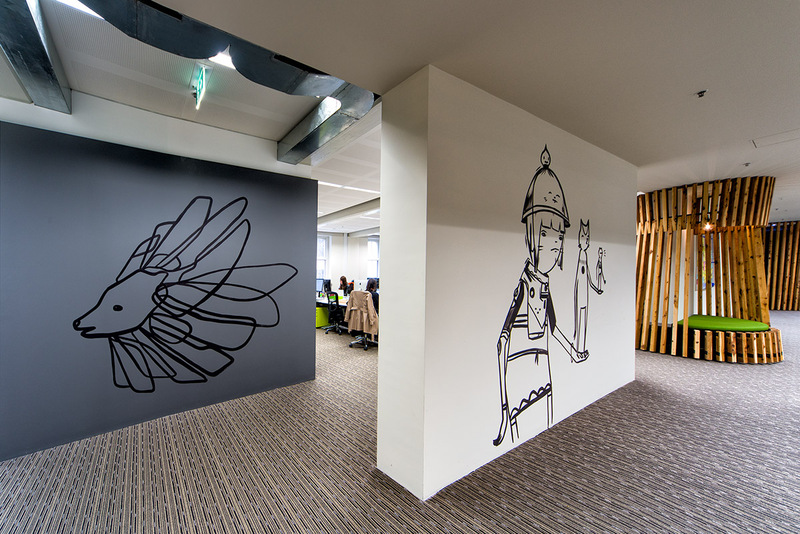 With a simple brief – make the place awesome – we got these beautiful, graphic pieces throughout the building. 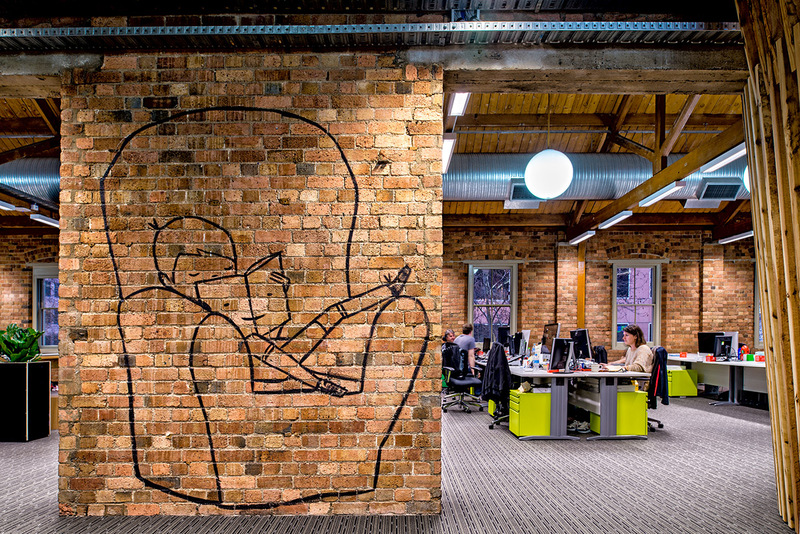 Here you can see the middle level, and behind that grey wall with the lion is our CEO Collis’ office. Because our offices used to be a school we inherited two auditorium-like rooms. Pictured here is the Nashville auditorium where our all hands company meetings, team training, and community events are held. 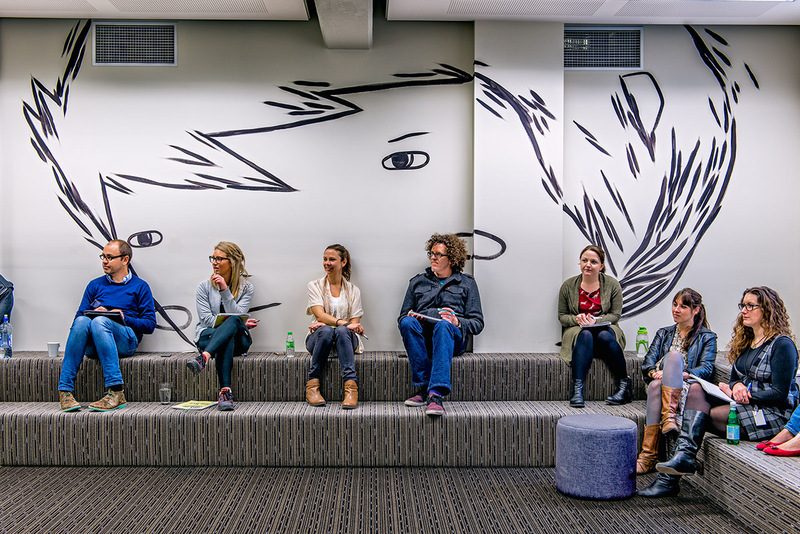 With over a hundred staff at HQ, it’s become increasingly critical to have spaces to get together. 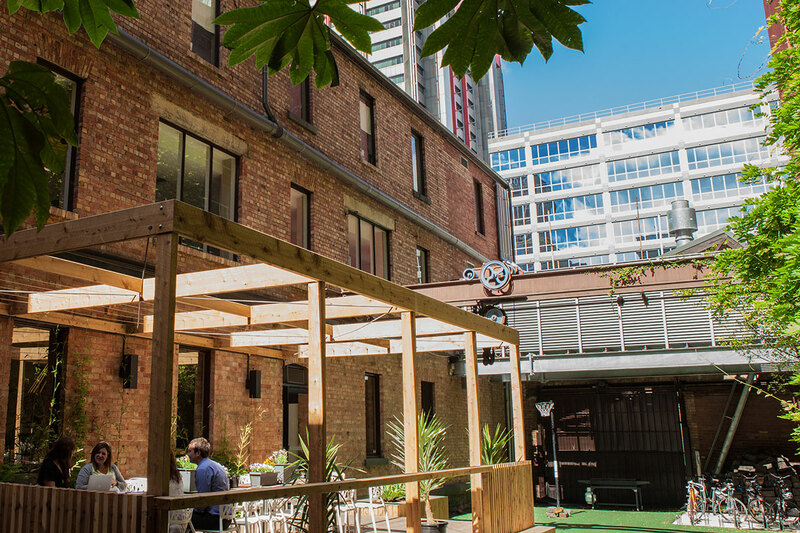 Our lunch room, home to a pool table, piano and space invaders table, opens up to our courtyard outdoors. On a sunny Melbourne day, nothing beats eating lunch outside, followed by a fun game of kick to kick. During netball season, you’ll often see some of the team practicing their shooting too. Peter from legals has a trick shot where he can bounce the ball from the wall into the ring. He has only managed to do it once. 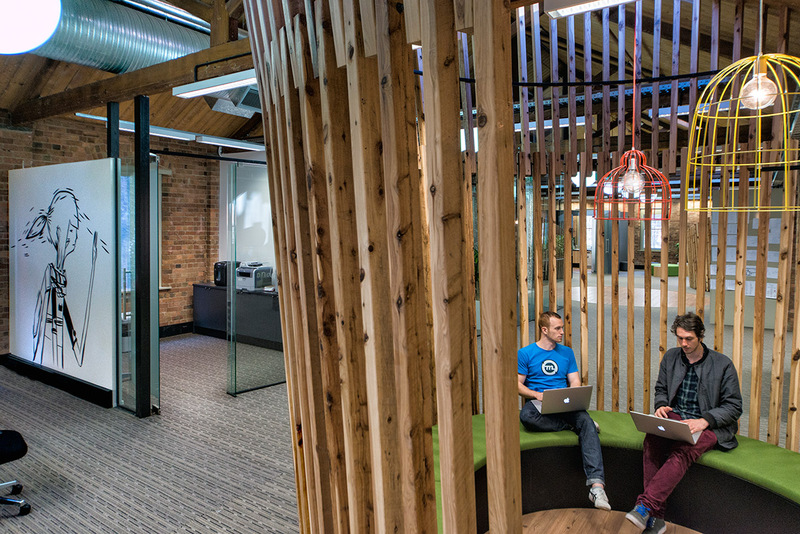 Throughout the new offices are large ‘pods’ made of rings of beautiful wooden beams that serve as informal meeting spaces and quiet areas for working on a laptop. 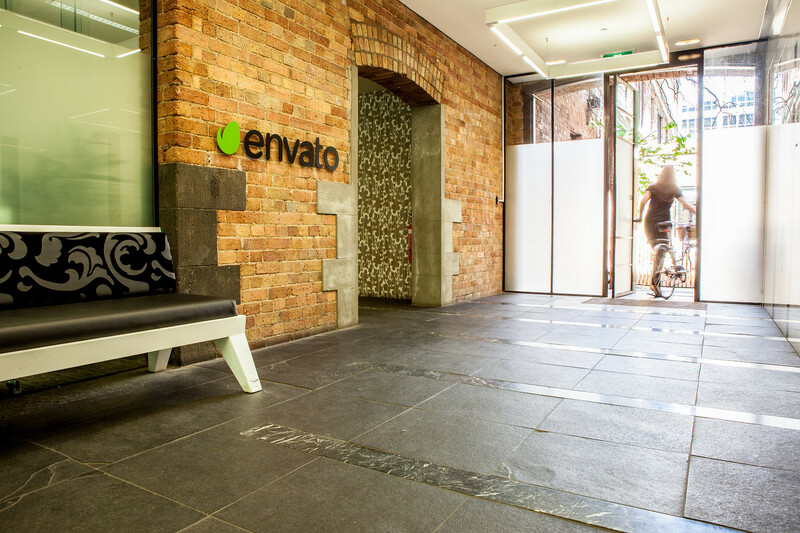 Our architects Buro took the building, Envato’s values and ethos, and translated it all into beautiful and functional uses for the space. One of the most important considerations was keeping a connection between the three floor split for the team. The pods represent a tree that goes from the ground floor to the top floor. 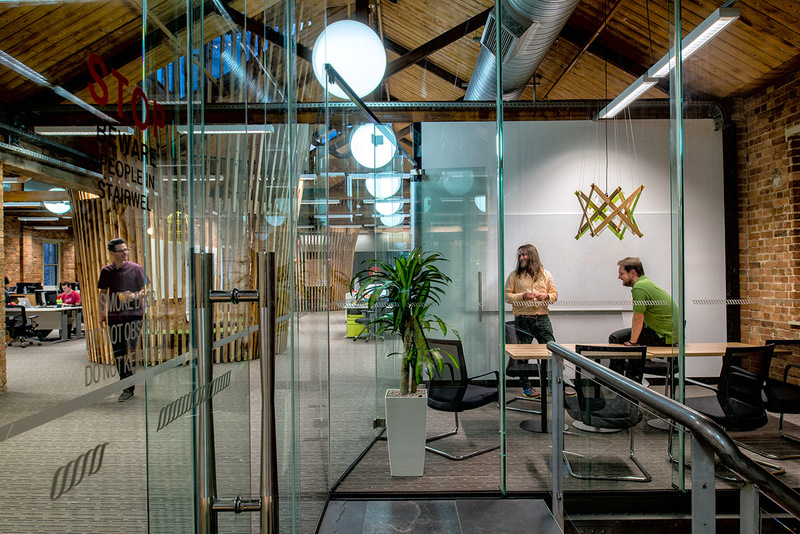 It acts as a visual connection, reminding everyone in the building that you are all in the one space and that down the trunk of the tree, there are others that you work with. 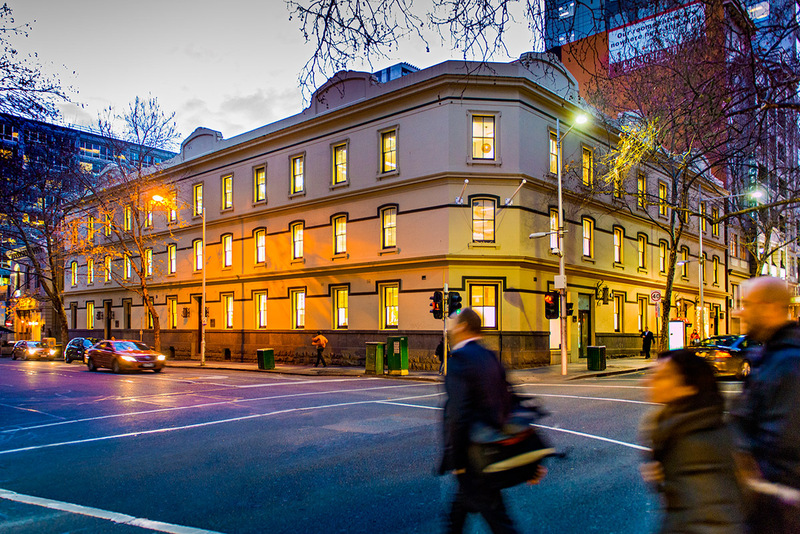 Although we have a great space here in Melbourne, Australia, we also have close to a hundred staff members working around the world. 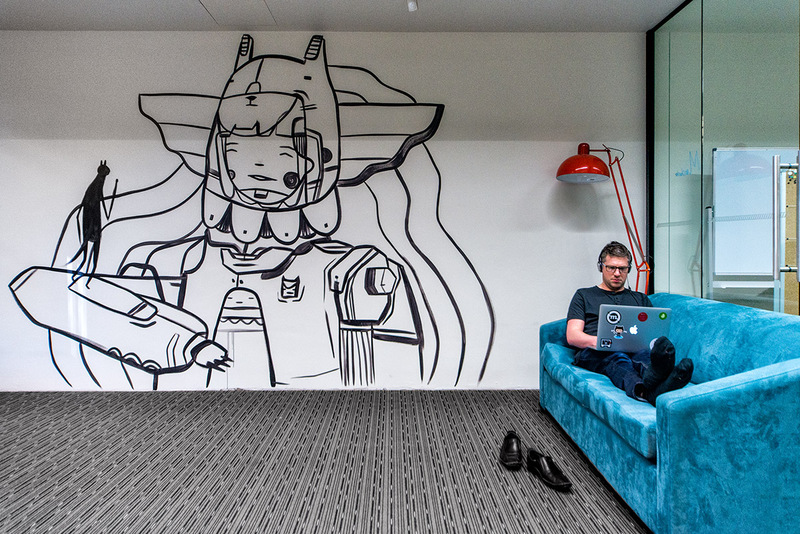 Our Melbourne meeting rooms are a nice reminder of our truly global company. 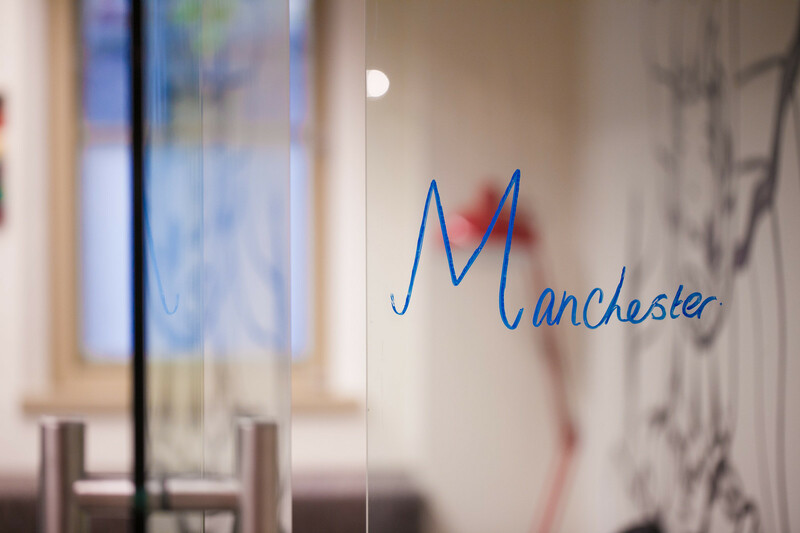 Each meeting room has a name, reflecting some of the locations of our remote staff. It’s not uncommon to start your day in a meeting in Hong Kong and finish watching a presentation in Manchester. 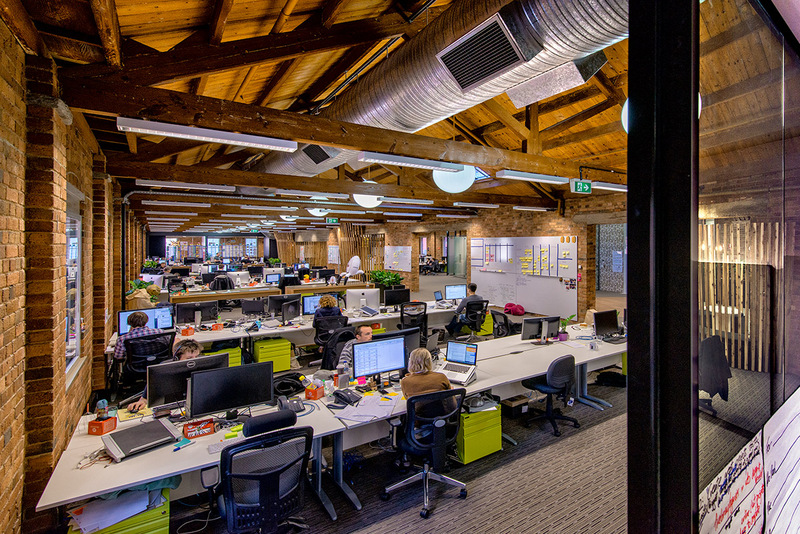 Thanks for coming to visit our new Envato home! 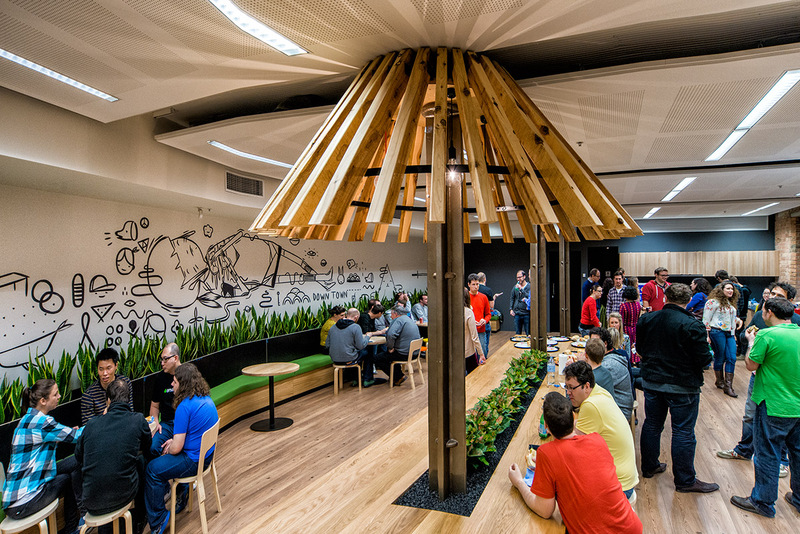 A variety of Melbourne tech and community events are hosted here, so we hope in the future you’ll stop in for one of them and see the place up close and in person!